Hilda, the daughter of John and Mary Loxton, was born at Inverell in 1879. 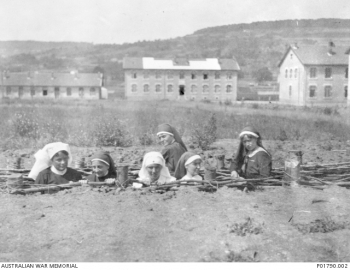 Before WW1 she worked at the Royal Alexandra Hospital for Children in Sydney where she was in charge of the Diphtheria ward. In 1916 she applied to be a Red Cross nurse and, with her friend Minnie Hough, was one of twenty experienced non-military nurses chosen to go to France. These nurses were known as Bluebirds because of their blue uniform. They were each equipped with a leather kit bag filled with ‘useful hospital requisites’. Hilda and Minnie worked together at a Mobile Surgical Hospital established ten kilometres from the front line where they were exposed to the constant risk of air raids, bombs and gas attacks. 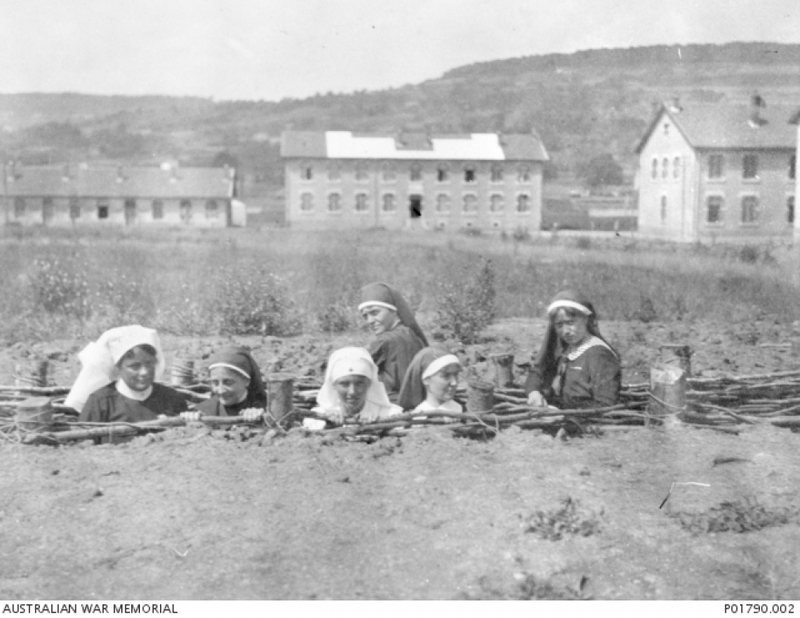 Hilda returned home at the end of 1918 and continued her nursing career in Sydney until retiring in 1933. She died in 1963 and is buried in the Field of Mars Cemetery at North Ryde. The French Government awarded Hilda the French Medal of Recognition, given to civilians as a token of gratitude to thank those who came to assist during the War.